Catering facilities available in club house also with bar and changing rooms. Pro shop with trolley hire. The course features three tricky par-3's, most notably the 6th, where out of bounds awaits any errant tee shots leaked to the right. Water plays its part at Ashton & Lea, as seven holes on the back nine are affected by it. Another of the outstanding holes is the short par-4 13th - on the tee the player is faced with either attempting to fly the water that lurks around 210 yards from the tee, or play safe and lay-up short leaving a longer second. The approach shot is played downhill to a bowl shaped green; a par here is readily accepted. 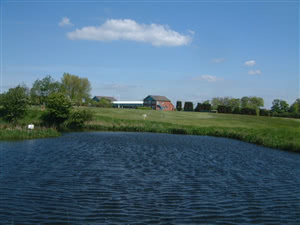 The greens at Ashton & Lea are small and elusive and the course has a reputation for being one of the best kept in the North West. Well worth the effort, mind the water, ditches and hidden greens. Well maintained course and ground staff do wait for you before playing a shot and then they continue their work. We paid £15 as went out with a member normally £25 which I think is quite expensive. Club house is good but feel the staff could do with some customer service training. A female member of staff threw a new member's card back across the bar as it did not have any money on it. She also shouted at some of the members in the bar area. Not very conducive to having a chat and a pint after a round of golf.